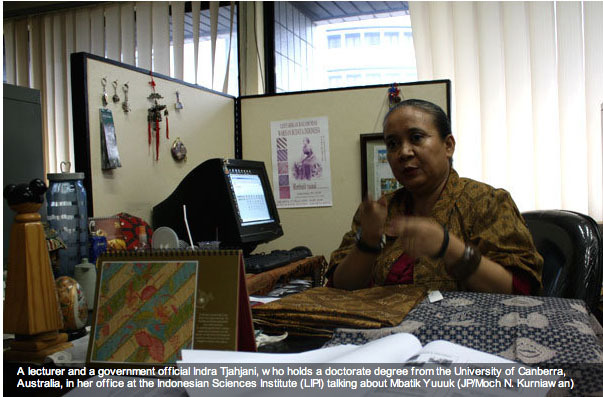 The Jakarta Post – FEB 2009 – Mbatik Yuuuk!!! 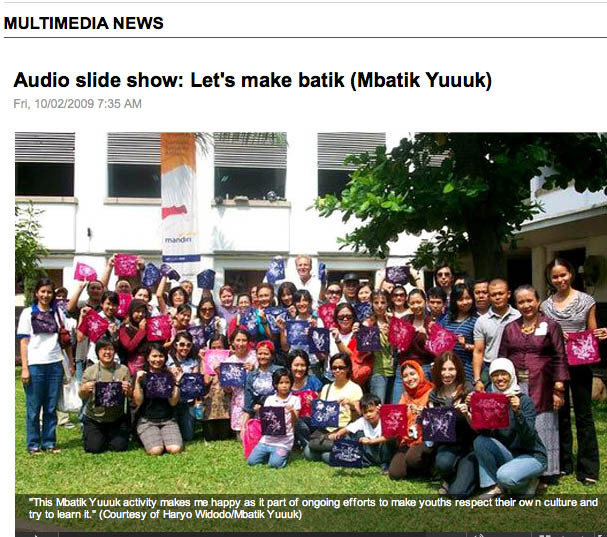 History behind the establishment of ‘Mbatikyuuuk’, actually because I am worried that the Indonesia young generation not aware about their own culture. Therefore, I ‘ve got a mission to introduce more Indonesia Heritage to the young people.